Parliament Hill is one of Canada’s most important heritage sites and popular tourist attractions. To improve visitor experience and enhance security to this iconic site, a new Visitor Welcome Centre is being built. The new building will be designed and completed in two phases. Once built, the project will link the West, Centre and East Block buildings. 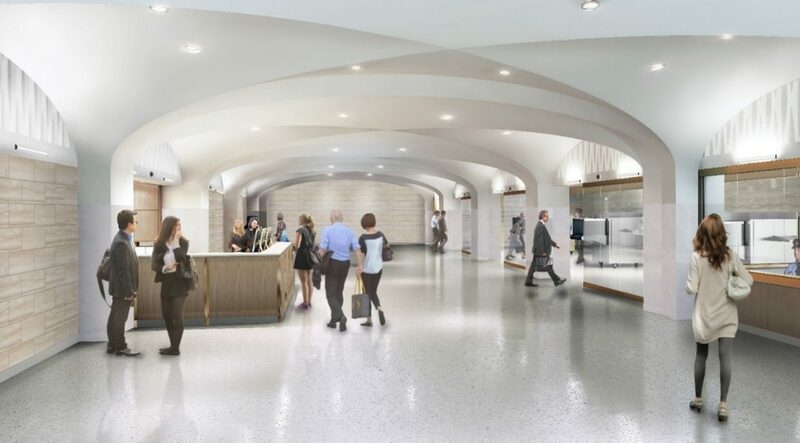 The Visitor Welcome Centre will be a modern four-level underground complex, designed to blend with the historical structures and natural surroundings of Parliament Hill. In front of the main entrance, a plaza with trees and seating will offer a gathering and waiting area for visitors. From there, visitors will enter the buildings through a main entrance on the west side of Centre Block. 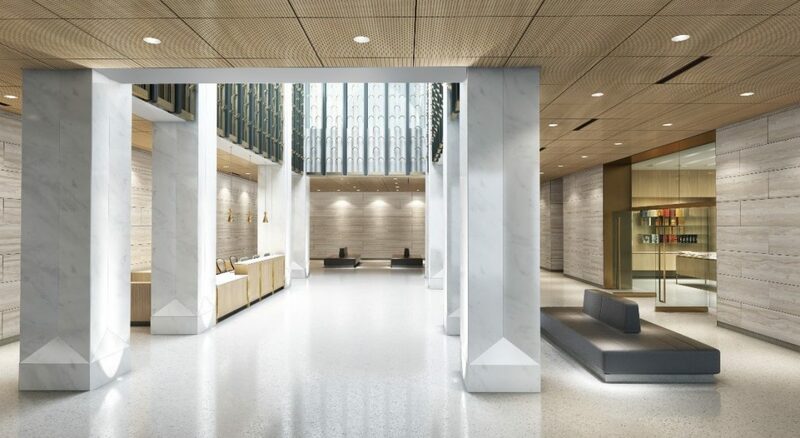 Once inside, visitors will be greeted in a bright and open space. The Visitor Welcome Centre will contain an arrival hall, security post and scanning areas with advance screening facilities, an information and ticketing desk, an operations kiosk, seating, a gathering space, washrooms, coat storage and a gift shop. The design was competitively awarded to IBI Group with Moriyama & Teshima Architects of Ottawa , Ontario, with a budget of $129.87 million (tax excluded). The overall budget is not limited to the construction work, but also includes items such as: planning, professional and consultant fees; architectural design fees; security; fit-up of interior spaces; furniture; IT equipment; and risks, escalation and contingencies. PCL Constructors Canada Inc. will oversee the construction. 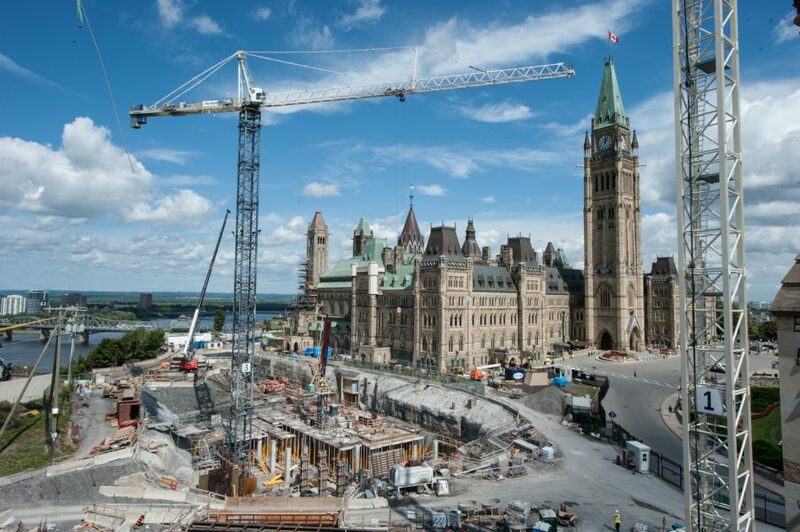 Excavation for Phase 1 began in 2015, construction began in 2016, and completion is expected to coincide with the reopening of the West Block — the most complex rehabilitation project ever on Parliament Hill, which began in 2011 and is scheduled to finish in 2017. Once the West Block is rehabilitated, it will welcome the House of Commons Chamber for approximately ten years. 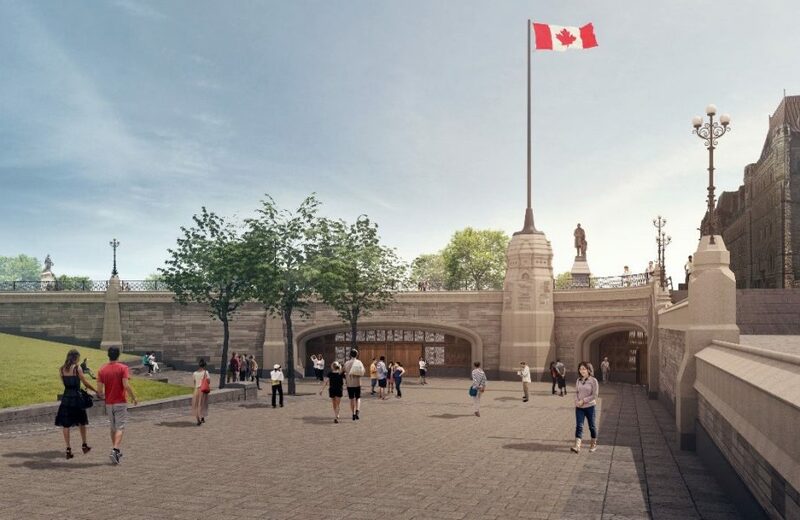 The Chamber will be housed in a permanent infill in the covered courtyard, increasing the total useable space of the West Block by approximately 50 per cent. When the Centre Block reopens, it will be converted into much needed committee rooms. 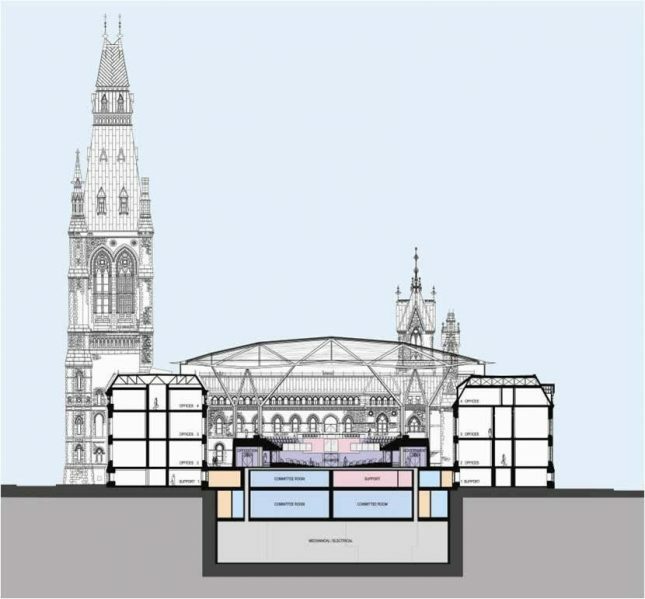 The Chamber in the West Block will be covered by a glass roof designed to filter sunlight and external sound. The bright and airy Chamber will also have a number of environmentally and people-friendly design features, including: a triple-glazed roof with controls to manage sunlight levels, which will save money on artificial lighting; glass roof panels that will keep the Chamber cool in the summer and warm in the winter, which will lower heating and cooling costs; and energy-efficient LED lighting. 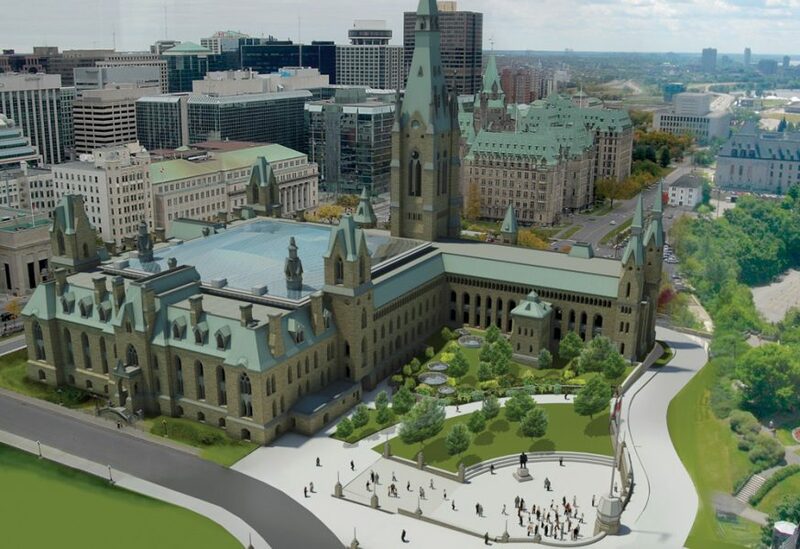 The new design for the West Block will allow the building to meet parliamentary needs well into the 21st century. It will also respect and preserve the building’s original character. 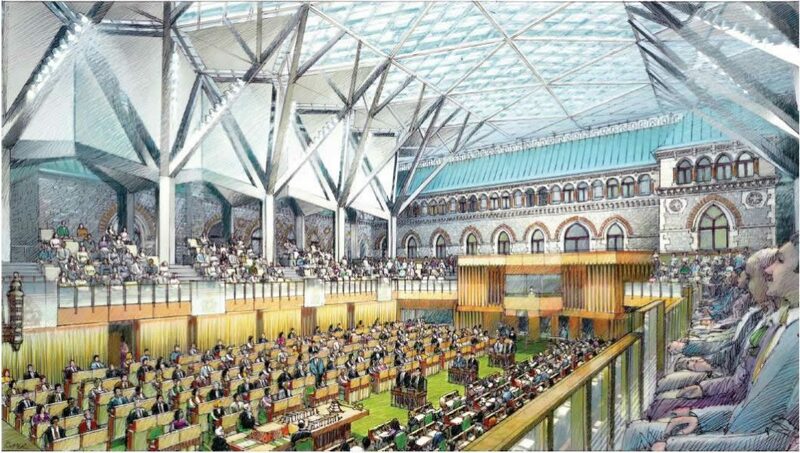 The building will be fit-up to accommodate legislative functions: House of Commons Chamber and support functions, four Committee Rooms and support functions and offices necessary for the functioning of the Prime Minister, House Officers, Party Leaders and Party Whips. 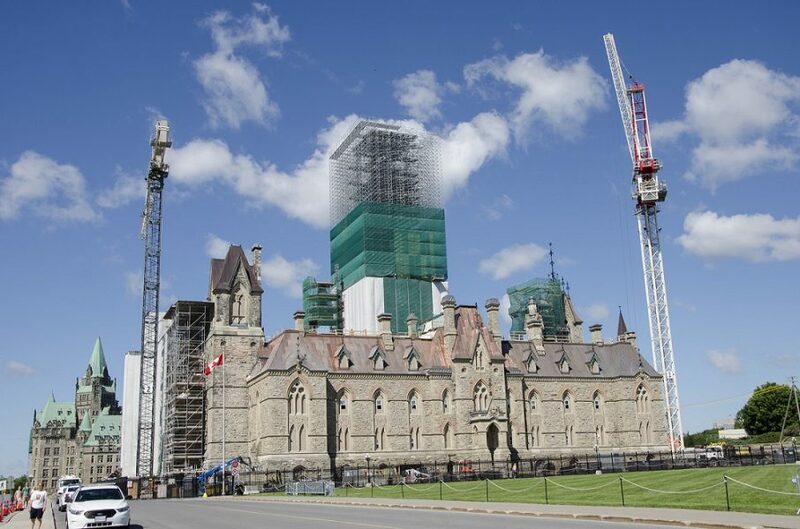 Once rehabilitation work on the Centre Block is completed, the West Block will revert to a parliamentary building, containing 52 offices for Members of Parliament and their staff, and six Committee Rooms including support functions. Inside, certain areas have been designated as heritage spaces. While these areas will keep their original appearance, they are being modernized to current standards. The plans and the design for the West Block were developed by Arcop/Fournier Gersovitz Moss & Associates in joint venture. The plans and interventions are reviewed by the Federal Heritage Buildings Review Office and the National Capital Commission’s Advisory Committee on Planning, Design and Realty. PCL Constructors Canada Inc. have overseen the construction. For more on the renovations surrounding the Parliamentary precinct, please click here. All text and photos courtesy of the Government of Canada. The rehabilitation of the east façade was completed in 2015. Artist’s rendering of the Visitor Welcome Centre Phase 1 entrance. 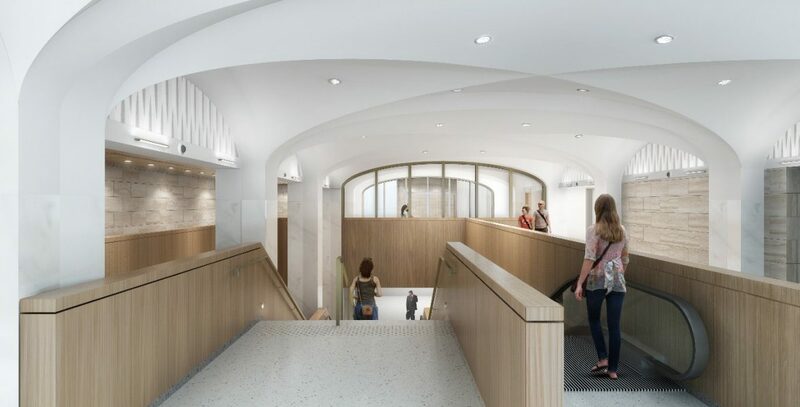 Artist’s rendering of the interior of the Visitor Welcome Centre Phase 1. Artist’s rendering of the entrances of the Visitor Welcome Centre. Artist’s rendering of the Visitor Welcome Centre Phase 1 gathering area. Construction of Phase 1 of the Visitor’s Welcome Centre, with the Ottawa River, the Centre Block and the Peace Tower in the background.